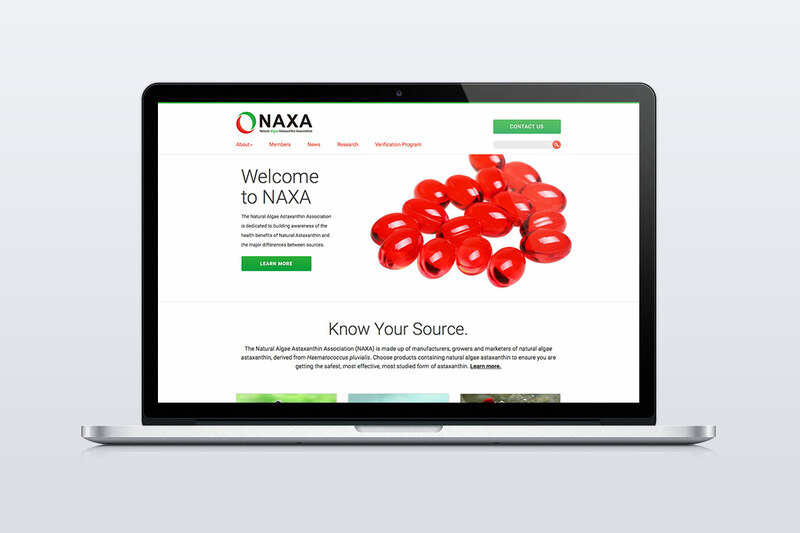 Natural Algae Astaxanthin Association (NAXA) is an industry trade group built around “the promotion, protection, education, and regulatory status of natural astaxanthin derived from Haematococcus pluvialis for use in food and dietary supplements.” By word-of-mouth, NAXA discovered us, and in 2014 they asked us to redesign their self-made website. 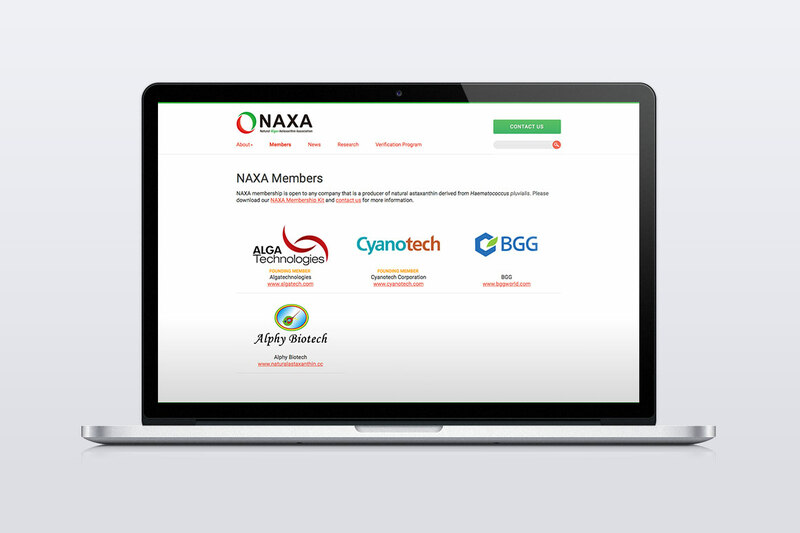 At the beginning of 2015, we developed a fully responsive WordPress site for NAXA. 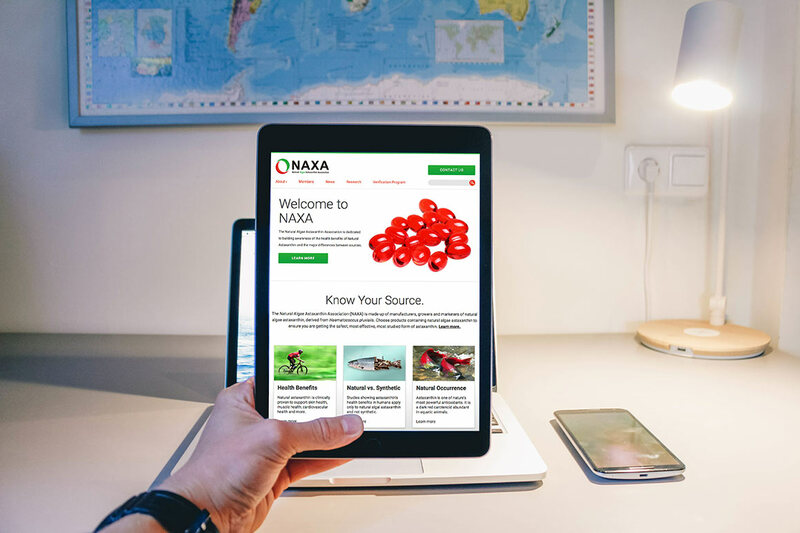 Since the original site defined its key messages with clarity, it was simply a matter of improving the user experience, SEO, and placement of special importance on actionable items. In addition to those changes, we also built a blog section and technical library (organized by category) to keep the site dynamic and accessible.